Three game industry gurus explain why it takes more than an ability to design games to succeed. Game expertise in Finland is of a high level, but there is a general lack of business networks and skills. This is explained by the way games companies usually arise: games are developed as a hobby or in connection to studies, and a company is then created on top of game development – if at all. Alongside expertise in creating games, companies need to master a whole lot more, such as design, project management, international commerce, general business skills… The preconditions for businesses change rapidly, with an influx of new distribution channels, platforms, and partnering opportunities. It is vital to keep up with the pace, which requires a whole array of other skills besides game development itself. Without business skills, you may succeed in churning out a good product, but it easily goes unnoticed. In fact, making the general public aware of a game is one of the industry’s bottlenecks. As an example, five hundred new games appear on App Store every single day. For a small game developer with inadequate networks, funding, or presence, even an excellent game can remain hidden within the App Store’s confines. Visibility can be boosted through marketing. Many games even involve events for fans. Celebrities promoting games on YouTube is a common form of advertising especially in Asia. Then there are game magazines, reviews, blogs, cross promotion, traditional buss shelter advertising, you name it. It takes business skills to know which methods and channels work in each case. In 2015, the revenue of the Finnish mobile games industry totaled approximately EUR 2.4 billion. The value of the global mobile games industry amounted to around 30 billion dollars, Finland’s share making up for 10 per cent. Finland has about 300 studios, employing 2,700 people. Growth is fast. “The game industry is lodged between two extremes: on one end of the spectrum, indie developers create games as a form of art without much thought for monetization. Having played games since kids and dreamt of inventing their own, endeavors are rooted in love and passion for the art form. Young indie developers don’t take much care for tomorrow - games can be a hobby. The other extreme involves the commercial side, big listed companies that produce games. For them, games mean big business; they develop sequels to sequels, and business revolves around billions. This end of the spectrum cares very little about art. The games industry is found between these two worlds. The Assembly gaming event is a prime example of the way the Finnish game industry is established on a demo scene. I’ve taken part in arranging the event myself. We were so good at the demo scene that the event was even a commercial hit, despite our strong leaning to the artistic rather than business side. I slept through business school, although it would have made sense to stay awake. Since then, I’ve learnt the industry over a course of 21 years. Studying the business side properly would have gotten me ahead faster. Game people not being interested in boring business stuff used to be the name of the game; some big wig coming over to kill off creativity and set rules. As Rovio’s success became apparent, international investors turned their gaze on Finland. Supercell proved that there was more to it than good luck. Now major international players pop over in search of the next big shot. They are ready to invest. The next group of a maximum of 30 firms eager to rise to the top. The rest, competing to get to the second level. Compared to the third group, companies on the second level have millions or tens of millions in revenue or funding. They are serious players. In Finland, even the smallest indie studios are of a higher quality than in many other countries. But in addition to a topnotch product, getting noticed requires excellent skills in figuring out marketing maneuvers. Money isn’t enough, and something smaller players don’t have anyway. Visiting an accelerator for a couple of hours to listen to how the marketing and business thing should go isn’t of much help. It can bring some feel-good factor, but that won’t get you very far. You need systematic training and development. I’ve proposed a state-funded program that would leverage level three companies to level two. Tax revenue alone would quickly cover expenditure. The industry offers major growth potential. I believe that within three years, Finland will see another Rovio/Supercell type firm. “The game industry is changing rapidly. The biggest transformation has involved free-to-play games entering the market, which are initially free, but users subsequently pay for content and advancement. Currently, free-to-play games account for 95 per cent of mobile game revenue. This change came unawares, and companies needed to adjust fast. Rovio stopped making paid games in the course of just half a year. Developing free-to-play games is totally different to paid games. Games are more challenging to produce, as they need to keep up momentum to attract paying customers straight away, in a month, in a year, again and again. In the games industry, it can be said that half of the budget goes into creating the game, and the other half into content production and follow-up. The industry is prone to rapid changes. Analytics tools monitor the way players progress in the game and spend money, the duration of game sessions, user demographics, and other parameters. The industry is characterized by openness, and business skills and technical solutions are shared at large. But there is one area that isn’t shared: player data. This constitutes the most valuable part of the game, examined carefully from diverse angles. 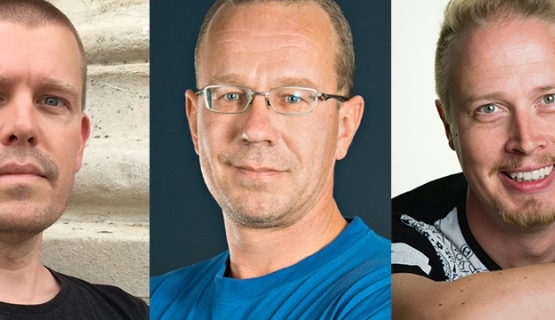 KooPee Hiltunen and Jyri Partanen are guest speakers at Aalto ENT's Game Executive program.